The idea of continuous education used to be a novelty, but now it’s becoming a necessity for majority of us. Even working professionals moonlight as students. This is one of the reasons why EdTech, or educational technology, is such a fast-growing industry with a predicted $252 billion in global investment by 2020. Educational institutions and individual entrepreneurs alike are looking to invest in new learning technologies and educational apps. There are two trends that have been particularly important in shaping the EdTech landscape recently: virtual environments and virtual reality, and gamification. These trends are manifest in apps that cover a whole spectrum of subjects from math to geography to foreign languages, and even practical skills such as direct cardiac massage or operating factory machines. Virtual and augmented reality in educational applications opens a new realm of possibilities for creating engaging learning experiences. When it comes to educational apps, a virtual environment usually refers to an online platform that lets software developers build simulations. The purpose of these virtual environment apps can vary greatly: factory workers might need to know how to operate complex machinery at the assembly line; pilots might require virtual training before they are entrusted with real planes. Each of these products are in the form of head-mounted displays that let users stream 360° videos or see augmented reality features. But what about platforms that allow users to develop content for augmented and virtual reality apps? Virtual environments for educational apps are often produced with the help of game engines. Unity is an example of a game engine that allows developers to create environments for educational projects. The U.S. military uses the Unity engine to create simulations for soldiers, whereas OSHKOSH uses this engine to provide online training for their machinery operators. Previously, we talked in detail about how content for virtual reality apps is created, and most of these methods apply to educational apps as well, though sometimes changes have to be made. For example, just producing a 360° image and displaying it through an HMD (head-mounted display) is not enough for educational purposes. But what if we could turn this image into a virtual classroom? ThingLink is a platform that allows you to do exactly that! 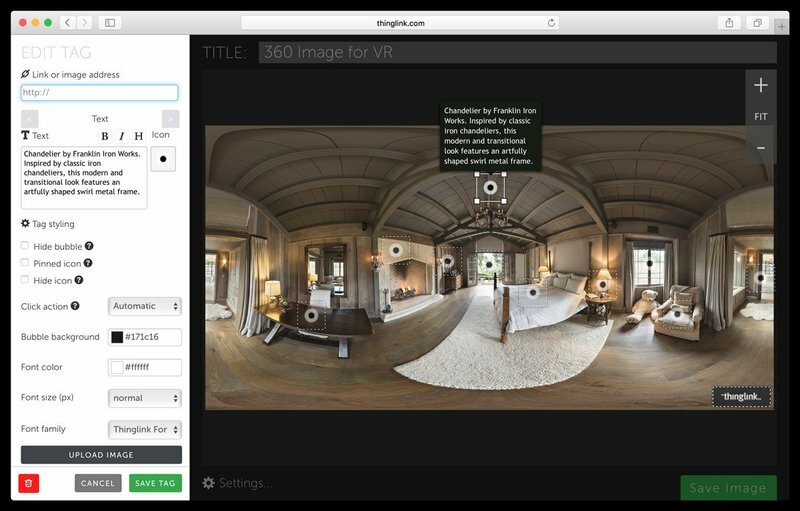 ThingLink allows users (teachers or students) to annotate 360° images with interactive tags, links to videos, or links to applications on third party resources. This technology creates a fully immersive teaching environment. Students don’t even have to leave the virtual environment to make notes or answer the instructor’s questions. Platforms like ThingLink have real potential to promote adoption of AR and VR technologies in the classroom on a broader scale because they prove equally appealing to students and instructors. What subjects can you teach with the help of virtual reality solutions? Virtual reality is great for introducing students to complex subjects, such as astronomy, where illustrations in books might not be enough to retain attention. 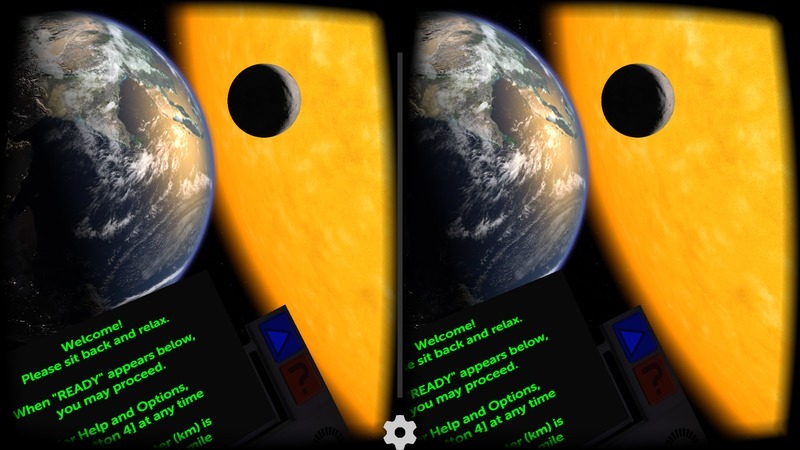 Titans of Space is a great example of an educational app that taps the potential of virtual reality by taking their users for a VR tour of the planets. This app works with Oculus Rift, HTC Vive, Samsung Gear VR and Google Cardboard. Titans of Space teaches about the position of planets within the Solar System and is available in fifteen languages. Training in sciences, including chemistry and physics, generally requires costly equipment and materials; but virtual reality solutions allow students to practice science using only their computer and the internet. Virtual Lab lets users conduct lab experiments, save results to the cloud, and download these results when needed. Chemistry VR is an app that makes memorizing chemical formulas fun by combining gamification and virtual reality. Users are tasked with finding and collecting chemical elements, and can form various chemical compounds. Finding new chemical compounds unlocks new doors in the game. Using augmented and virtual reality as part of the education process is beneficial because it allows students in need of practical training to acquire more ‘hands-on’ experience at lower cost. The term ‘gamification’ was coined in 2003, and means designing game-like experience for typically non-gaming activities to engage and motivate users to achieve goals. It’s widely applied as part of a strategy to promote educational activities and healthy lifestyles by turning monotonous (and sometimes stressful) tasks like exercising and studying into engaging activities. We’ve already looked at how principles of gamification can be used in app development, and for the purposes of this article we want to focus on how gamification can be applied to educational apps. Game-like environments can be beneficial for educational apps because it is proven that a combination of immediate feedback and strong visual stimuli makes people want to repeat activities over and over again. Using principles of game mechanics in educational software results in better user retention. Gamified apps are often an essential part of pre-school education. Mobile apps can be part of an e-learning strategy to teach children colors, letters and numbers, basic reading skills and basic science. Apps can be the first step in a child’s study of geography, or can help them brush up on a new chapter in their biology textbook before a quizz. Games can be an engaging way for users of all ages to practice work-related skills. The level of difficulty presented by educational apps varies greatly – from simple math tasks designed for children to decision-making challenges for doctors. Gamification can make something as difficult as studying law more understandable and even exciting. 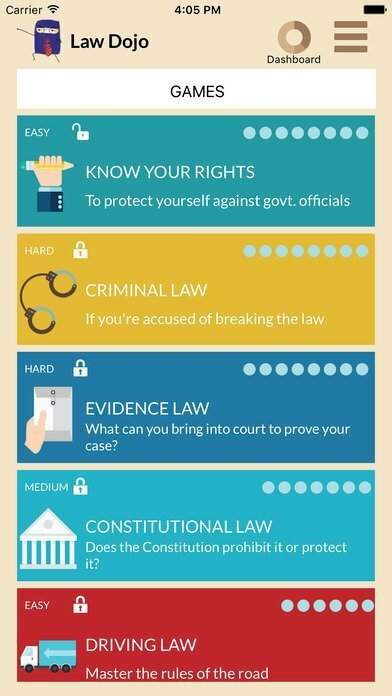 Law Dojo is one of the best educational apps for iOS and Android that helps law students acquire legal knowledge with a focus on a specific area of law. Legal Dojo is structured as a collection of games, including games that teach users about their rights when dealing with authorities, details of criminal law, details of contract law, and how international laws differ. The app has several levels where users can win points and train to become faster over time. In-app purchases provide users with shortcuts to new levels of the game, which can also be opened with enough earned points. Doctor Games and Apps is a an educational app for doctors and other people who are interested in medical science. It can be used as part of an online teaching course or independently by anyone who wants to study medicine. Doctor Games and Apps consists of different categories of games that help users study anatomy, medical terminology, and the names of medical instruments. Elements of game strategies have proven effective for creating engaging educational apps, and thereby more useful products.